This is not a sponsored post, the thoughts and opinions written here are my own. See disclaimer. Friday officially marked the beginning of my summer vacation for this year, and yes I am well aware that I have only been back in the office for about 3.5 months but I worked a ton of overtime during my pregnancy and before the wedding to make sure I had vacation when I came back. It’s tough adjusting from Lululemon and mommy and me yoga to blazers and meeting with clients daily, so this Mama needs a break. So on Friday at about 2:30pm I cleaned up my desk and headed home for 2 weeks of playtime with my Monkey. 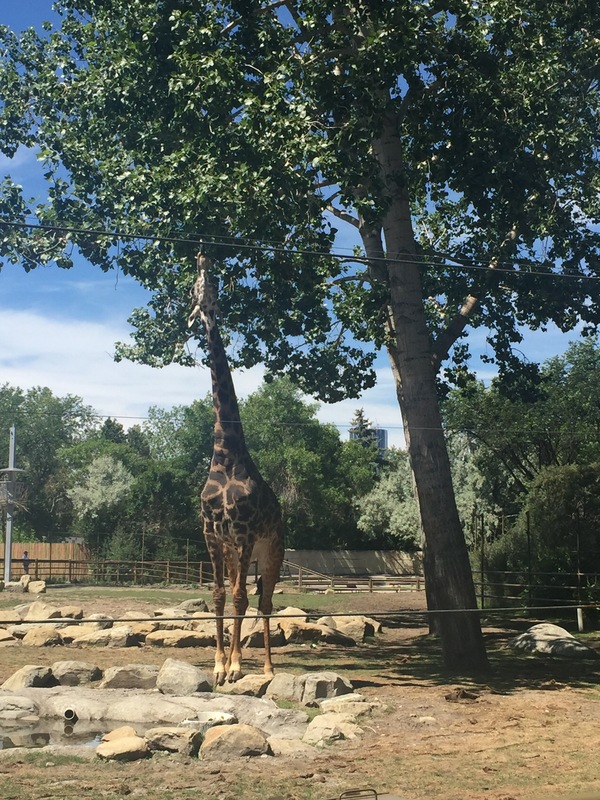 To kick off our vacation we decided to head to Calgary for another fun day at the Zoo. 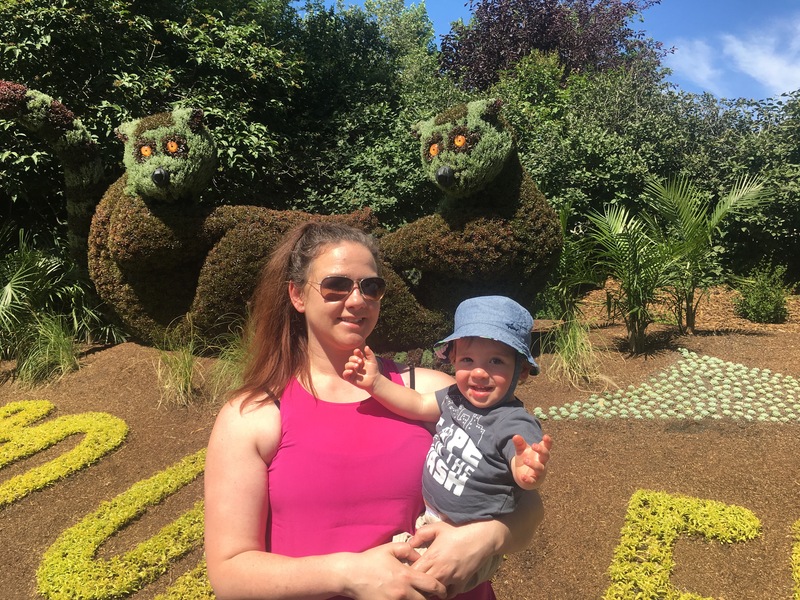 We are definitely putting Taunte Elizabeth’s birthday gift to good use this summer!During our first visit to the Zoo in May we learned that the Calgary Zoo would soon be home to Canada’s largest lemur exhibit, opening summer 2017. Well It’s summer and the exhibit is now open and we were excited to stand in line to get a glimpse of these amazing creatures that are sadly so close to extinction. The exhibit is in three parts with homes for the critically endangered black and while ruffed lemurs, the ring-tailed lemur (the Zoboomafu classic), and the red-fronted lemur. 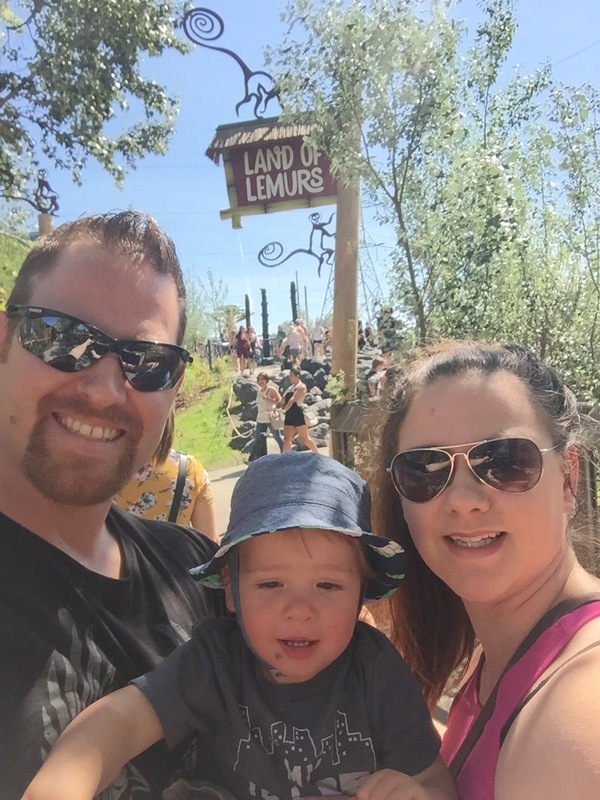 You can see the lemurs from a platform giving you an unobstructed option which is great for photographers and lemur lovers alike, but the best part of the experience is taking the walk through and actually entering the enclosure and getting a up close experience with these beautiful creatures. It was well wroth the 15 minute wait to enter the walk through. 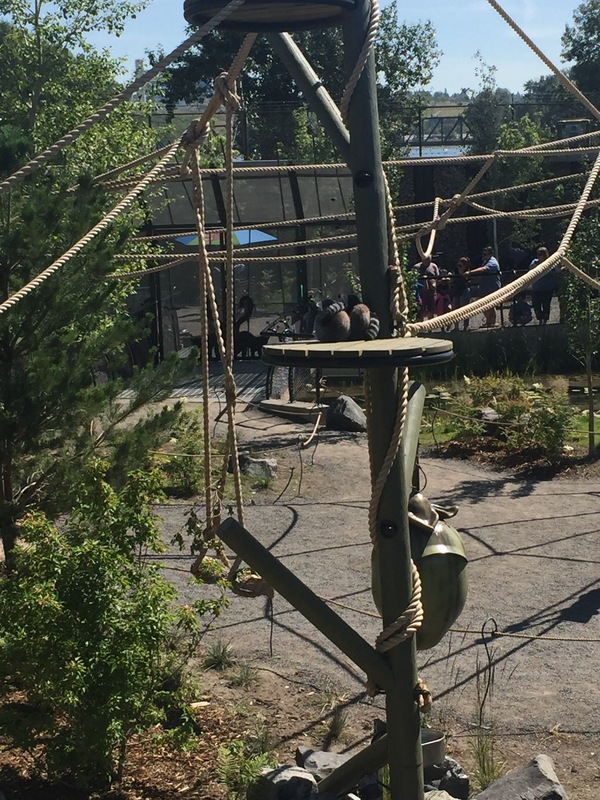 One of Monkey’s favourite features of the walk through was the rope bridge that allows for a little monkeying or more like “lemuring around”. Because we travel during morning naptime we arrived at about 10:30am which was a great time to arrive. Even though the lemurs were sleeping when we arrived by the time we got through the line and into the enclosure they were starting to get active. After visiting the lemurs we had a chance to catch the giraffes (my favourites) enjoying a little lunch as well. What is your favourite exhibit at the zoo? Let me know in the comments below! What a beautiful day to go to the zoo. Our favorite exhibit is feeding the giraffes. My girls are OBSESSED! Aren’t the giraffes great! My son loves them! We love the zoo! I am so looking forward to the weather cooling off so we can go and enjoy being outside more! Looks like such a fun day! You got some great shots!! Looks like so much fun! We always spend the most time with the monkeys at the zoo. 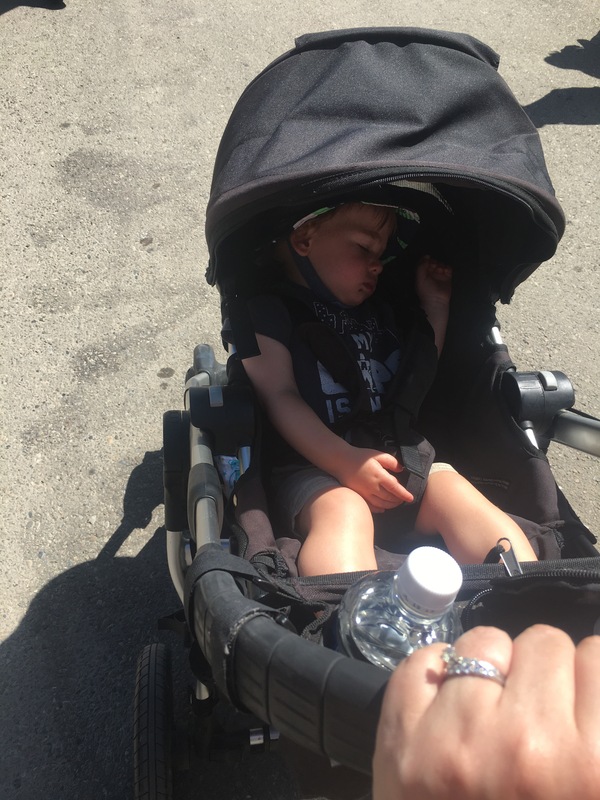 Love going to the zoo with my little guy too! Feeding the giraffes is definitely a favorite.